Enrofloxacin is a synthetic, broad spectrum antimicrobial substance, belonging to the fluoroquinolone group of antibiotics. It is Veterinary Antibiotic Drug. 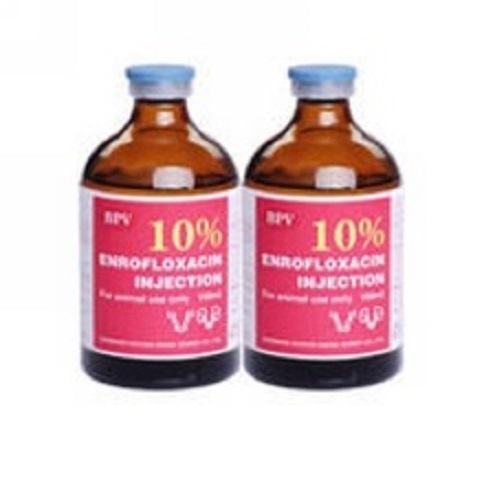 Enrofloxacin Veterinary Drug of Injection is bactericidal in action and effective against many gram positive and gram negative bacteria and mycoplasmas. It is Common Antibiotics Used In Livestock. Enrofloxacin Veterinary Injection For Livestock is indicated in the treatment of bacterial infections of the alimentary, respiratory and urogenital tracts, skin, secondary wound infections and otitis externa where clinical experience, supported where possible by sensitivity testing of the causal organism, indicates enrofloxacin as the drug of choice. Diseases of the respiratory and alimentary tract of bacterial or mycoplasmal origin (e.g. pasteurellosis, mycoplasmosis, coli-bacillosis, coli-septicaemia and salmonellosis) and secondary bacterial infections subsequent to viral conditions (e.g. viral pneumonia) where clinical experience, supported where possible by sensitivity testing of the causal organism, indicates enrofloxacin as the drug of choice. Diseases of the respiratory and alimentary tract of bacterial or mycoplasmal origin (e.g. pasteurellosis, actinobacillosis, mycoplasmosis, coli-bacillosis, coli-septicaemia and salmonellosis) and mulifactorial diseases such as atrophic rhinitis and enzootic pneumonia, where clinical experience, supported where possible by sensitivity testing of the causal organism, indicates enrofloxacin as the drug of choice. Dogs under 1 year of age should not be treated with Bactyle 5% as damage to the articular cartilage may occur during the period of rapid growth, specifically in large breeds of dog. As a precaution very large breeds of dog should not be treated with Bactyle 5% until they are 18 months of age because of their longer growth period. Not for use in cats less than 8 weeks of age. Bactyle 5% should not be used for prophylaxis. Cats : Retinotoxic effects including blindness can occur when the recommended dose is exceeded. In accidental overdose there is no antidote and treatment should be symptomatic. Dogs : Occasionally skin reactions have been seen after administration to kennelled greyhounds. 1 ml product per10 kgbodyweight (5 mg enrofloxacin per kg bodyweight) by subcutaneous injection once daily for up to 5 days. Single-Dose Therapy: 7.5 to 12.5 mg/kg of body weight (3.4 to 5.7 mL/100 lb). Multiple-Day Therapy: 2.5 mg enrofloxacin per kg bodyweight (0.5ml/10 kg) daily by subcutaneous injection for 3 days. This rate may be doubled to 5 mg enrofloxacin per kg bodyweight (1.0 ml/10 kg) for 5 days for salmonellosis and complicated respiratory diseases. 0.5 ml per10 kgbodyweight (2.5 mg enrofloxacin per kg bodyweight) daily by intramuscular injection for 3 days. This rate may be doubled (1 ml per10 kg; 5 mg/kg) for 5 days for salmonellosis and complicated respiratory disease. Not more than 2.5 ml should be administered at one intramuscular injection site. Use during pregnancy and lactation : there is no restriction on the use of this product during pregnancy and lactation. Cattle : Animals must not be slaughtered for human consumption during treatment. Animals may be slaughtered for human consumption only after 14 days from the last treatment. Pigs : Animals must not be slaughtered for human consumption during treatment. Animals may be slaughtered for human consumption only after 10 days from the last treatment. Not to be used in animals producing milk for human consumption. Store in a dry place under 25ºC. 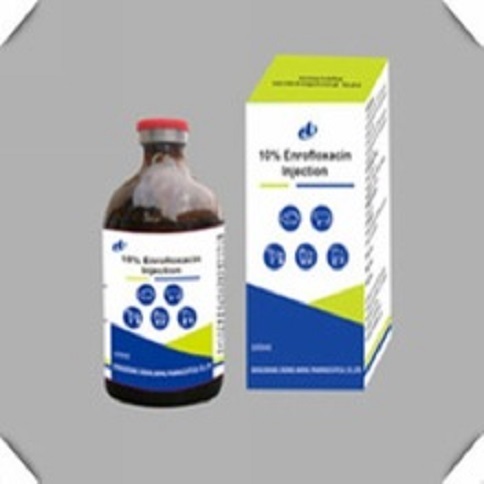 Looking for ideal Enrofloxacin Injection Veterinary Medicine Manufacturer & supplier ? We have a wide selection at great prices to help you get creative. All the Prevent Veterinary General Disease are quality guaranteed. 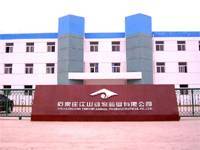 We are China Origin Factory of Enrofloxacin Veterinary Injection For Livestock. If you have any question, please feel free to contact us.